You’re a mean one, Mr. Grinch, but at least you’re nice to your dog. 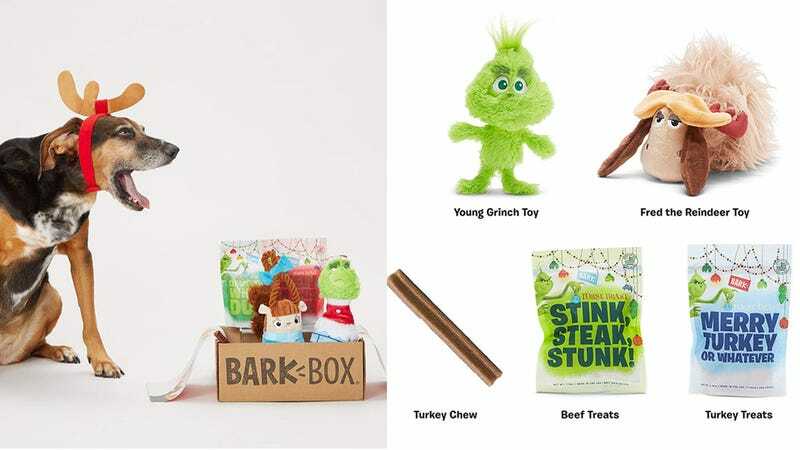 Give the Max to your Grinch the treat he deserves this Christmas with this Limited Edition Grinch BarkBox, now on sale for $25 at Amazon. Very good dogs/makeshift reindeer can enjoy beef and turkey treats, and chew on plush Grinch and Fred the Reindeer toys. Plus, your small heart is sure to grow three sizes the day you gift this box to your canine companion.